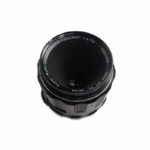 Manual focus, Available in EF or E mount. Vintage glass for a soft beauty look. Pentax was the 35mm brand of choice for David Bailey back in the 70s. 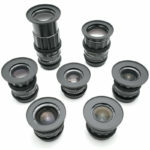 Today these lenses are exceptional value for money but were extremely expensive when they were made and the build quality has stood the test of time. 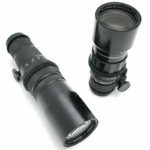 The focus mechanisms have a long throw with no image shift. These lenses are still pretty high resolution even by todays standards but the focus on these lenses rolls off very gradually. This means they’re not the easiest of lenses to focus pull but give the image a soft roundness for want of a better word! 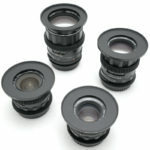 These lenses are all supplied with individual M42-EF or M42 – E mount adapters. 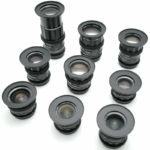 You can use these lenses on most of our cameras with the appropriate adapters as they cover full frame 35mm. 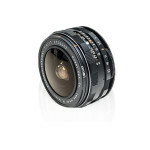 We also have film cogs available for use with a follow focus. The hard stops on the focus mechanism makes them easier to work with using follow focuses than a lot of modern stills lenses where the focus ring doesn’t stop at either end of the focus range (L Series Canons for example).